“If you want to win, play me. If not, put someone else in.” Real Madrid striker Raúl was forthright from a young age, his manager at the time Jorge Valdano remembers. The youngster wanted to show Valdano that he was ready to make his first-team debut. 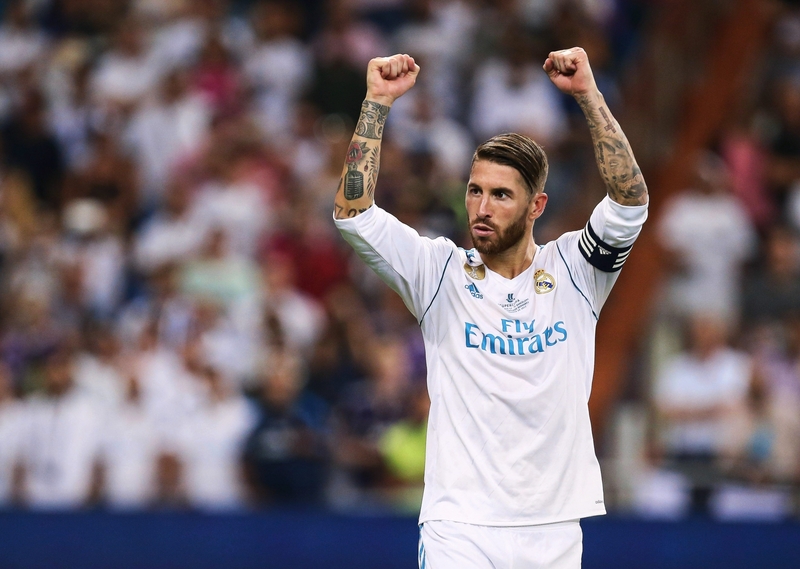 The boy from Madrid would go on to become a Los Blancos legend, winning six LaLiga titles and three Champions League trophies, leaving the club in 2010 with a record of 323 goals in 741 appearances. Raúl made his debut on 29 October 1994 at Real Zaragoza. The striker set up Iván Zamorano for one goal but scuffed a crucial chance in the box, hit the bar with a header, and blazed over from only six yards as Real Madrid lost 3-2. Unperturbed by his frustrating debut, the striker proved integral in Real’s 4-2 victory over Atlético in the Madrid derby of November 1994, winning a penalty, assisting once, and scoring another. According to reports, Raúl proudly claimed that he had “massacred” his former club. 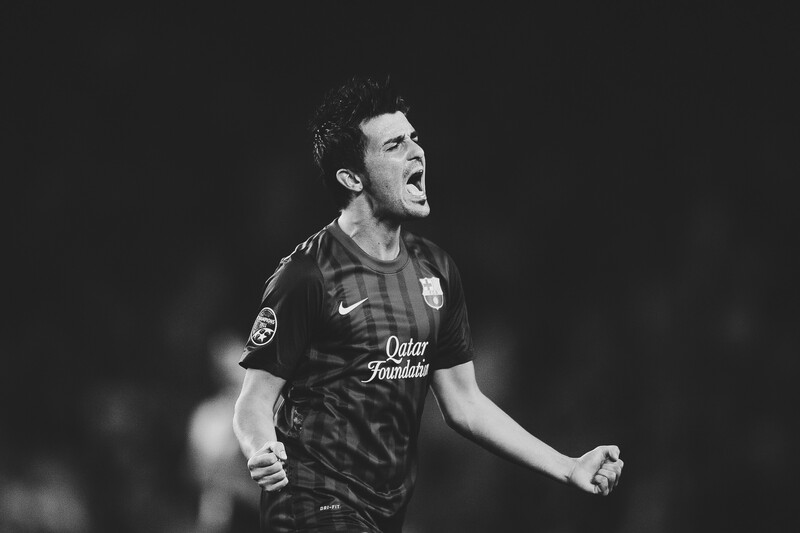 Such language encapsulated the striker’s unapologetically forthright style thereafter, which often echoed the essence of La Furia, the aggressive and tactically expedient philosophy of the Spanish national team pre-21st century. However, despite Raúl’s colossal impact at Real Madrid and undisputed status, his position in the modern history of the national team remains less certain. How is it that a player who Sir Alex Ferguson called “the best in the world” in 2000 was so dismissively overlooked from the national side when he seemingly still had so much to give? As much as Raúl was bold in his early conversations with Valdano in 1994, Aragonés wasted no time in telling the striker that he had no future with the national team as long as he was in charge. The Los Blancos star was erased from the reckoning within six months, but not without fallout. One reason for his omission from the Spain squad in 2007 was because Aragonés sought a change of philosophy. Central to Aragonés’ preparations leading up to the Euros was the idea that Spain was crying out for a new footballing ideology, which La Roja would ultimately deliver. 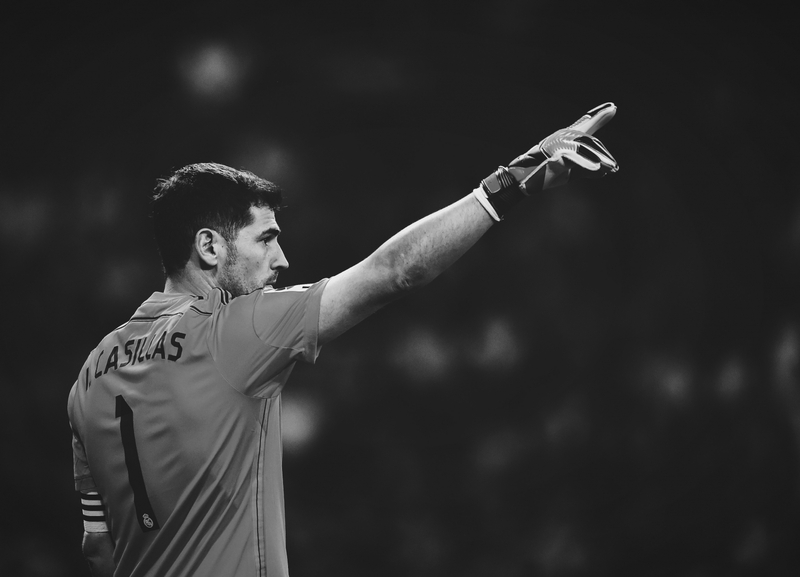 Raúl’s significance in Spain’s transition between La Furia and La Roja is his role as a martyr for the former in order to facilitate the latter. Gaizka Mendieta, who played under Aragonés at Valencia and with Raúl for Spain, claimed that with the manager “there are no grey areas, black is black and white is white”. This obliquely condensed Raúl’s problem. He unwaveringly represented the white of Los Blancos, but couldn’t translate that for the red of La Roja because he was so innately a Madridista. Jimmy Burns has argued that the crux of Raúl’s difficulty in achieving success with the national team was because of his aggressive playing style, seen through the lens of bullfighting imagery. For so long, the striker was seen in Spain as the matador, the last great totem of quintessential bullfighting imagery in Spanish football. That was despite his obvious technical quality. Burns argues that the transition from past to present, from La Furia to La Roja, was encapsulated by a fundamental change in style. The ideal Spanish attacking player would embody not the bull, but the torero, the manipulator of the opponent, “hence the shouts of ole! accompanying beautiful passing movements”. It was Raúl’s failure to play as a torero which led Aragonés to conclude that the faster, more amiable players, such as David Villa and Fernando Torres, were superior options. Ultimately, what Raúl represented as a player was abandoned in favour of a change of philosophy. Hunter maintains that “a quicker, more possession-based style, more patience, more use of established young players … plus room for emerging talents like David Silva and Santi Cazorla” was essential, solidifying quickly under Aragonés before the Euros. Another facet of Raúl’s downfall at national level is linked to his devotion to Real Madrid and his failure to translate the rich successes he enjoyed at the club to international glory. Despite scoring 44 goals in 102 Spain appearances, Raúl’s incarnation of Madrisimo and becoming the ‘new Di Stéfano’ explained his allegiances at the time as being solely oriented around Real, something that put Aragonés off the striker even more. Furthermore, as Euan McTear has noted for These Football Times, in the case of Spain, “Raul wasn’t exactly a team player – neither on the pitch or off it.” The elimination of egos became a critical objective for Aragonés during the birth of La Roja. This was the crux of Raúl’s problem. Could he sacrifice his unrelenting loyalty to Real Madrid to make changes that suited Aragonés when the Real fans resisted the national team’s coach and his decisions? Six months before Euro 2008, Aragonés refused to answer questions related to Raúl, who publicly condemned the banners held up at Maria Zambrano station in Málaga of ‘Raúl selección!’ in February 2008. However, it would be simplistic to claim that Raúl’s devotion to Real Madrid was solely responsible for his downfall. Considering Andrés Iniesta, Xavi and Gerard Piqué’s fervent loyalty to Barcelona during the glory years of La Roja, as well as Sergio Ramos and Casillas’ adoration at the Bernabéu, Raúl’s downfall on the international stage goes deeper. What is integral is how Aragonés and then Vicente Del Bosque channelled these partisan loyalties positively to produce the best football, uniting the team under the blueprint of tiki-taka, a style which suited other players better than Raúl. Unfortunately for Raúl, his domestic situation didn’t convince Aragonés that he was part of Spanish football’s future. As Pep Guardiola arrived at Barcelona in 2008, it can be argued there was a distinct shift in the national game’s anatomy, which became at a more central level a decade earlier. Despite that belief, Raúl won his final LaLiga title – his sixth – with Real Madrid in May 2008, a month before the national team left for the Euros. However, what La Roja set in motion for the following two tournaments after their triumph that summer in Austria and Switzerland – the World Cup in 2010 and the Euros in 2012 – was special. Euro 2008 was highlighted by their ability to flourish without Raúl. As Jimmy Burns concluded a chapter in his book La Roja: A Journey Through Spanish Football, which discusses Raúl at great length, he argued that “Spain had to move on without Raúl”. Furthermore, Burns calls the decision to remove Raúl from the future of the national team “the most defining moment” in the formation of La Roja, exemplifying again the importance of removing the old guard and replacing it with a group of players ingrained in a modern blueprint. And so it was that Spain, under Aragonés, set forth a playing style that would thrill the watching world for years to come; a philosophy which subverted La Furia into a more refined product, incompatible with one of the greatest strikers that ever played the game. A World Cup later, it was a decision fully justified.